I've been getting a little bored with my nails lately... I seem to be alternating between shades of gold, navy & black every week so here's some red to punch things up a bit. 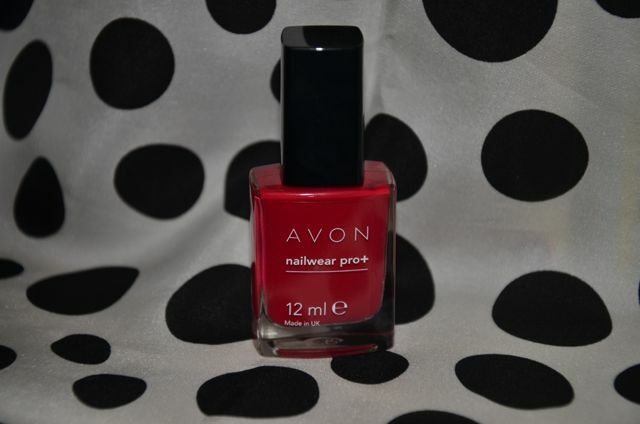 I love this polish from Avon - it's a new go-to for me. It's so classic and the finish is really glossy, which is something I require from a red nail varnish. I'm also pretty excited that it's totally different than any of my other reds... The color is rich and deep, but slightly translucent. It's gorgeous! 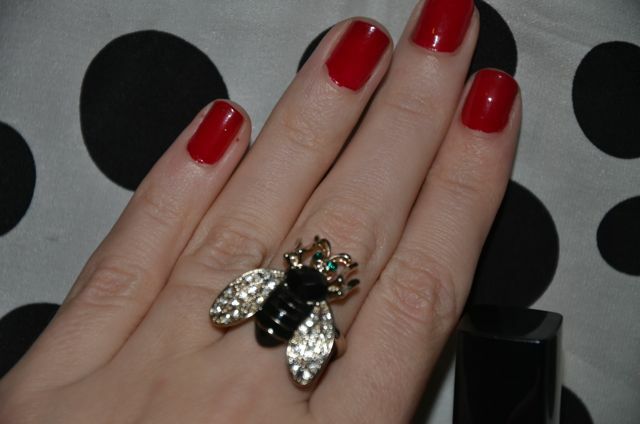 I'm also completely obsessed with this bug ring I found in the 75% off sale at my local Accessorize... Give me sparkly bugs on cocktail rings anytime! What's your favorite go-to red nail polish? OPI Vodka and Caviar, love it for the holidays!